Now I could very well just stop right there and say “AH-HA, NO MENTION OF FATHERS! !” However, I’m going to preface my comments by saying this: the black family is dead or it’s in critical condition to say the least. I know the destruction of the nuclear family as a whole has been under attack for some time; however, I’m specifically dealing with black families because we’re the only culture who overtly acknowledges mothers on Father’s Day. 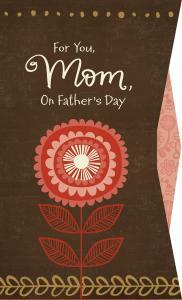 Yes, the Mahogany Collection has cards dedicated to fathers on Mother’s Day as well but let’s be honest people; when’s the last time you seen a conglomerate of fathers (on a micro level) really get props on Mother’s Day? It is an indictment to the African-American community because we are the only culture that lacks strong male leadership in our homes and many of our women don’t see a problem with it. You’ll often hear “pro blacks” say “We came from Kings and Queens,” well, if that’s your logic then where is it now? I mean, king and queen denote family and it also promotes Headship and leadership. Hello patriarchy!! I understand slavery had a devastating effect on American blacks here in the states. Although slavery was “allegedly” abolished after the Civil War; however, the Reconstruction Era only saw a continuation of racial white supremacy towards African-Americans. So in spite of the lynchings, the murders, the disenfranchisement and discrimination; black families STILL stuck together. It wasn’t until the 1960’s and Lyndon B. Johnson’s “Great Society” is where we see the exodus of black fathers in exchange for government benefits. Thus the head of household went from male to female. These days the normality of single parenthood has been celebrated and lauded when it comes to black mothers; but in contrast, black fathers have often been labeled trifling, trivial, insignificant and irrelevant. Although there is some truth when it comes to those ilk’s of black men, however, there is a counterproductive movement in which black fathers have become significantly more involved in the raising of their children. Just last December, there was a federal survey conducted by the National Center of Health and Statistics, which basically concludes that when it comes to fathering children, black fathers were no different than fathers from other races. To see the report, go the link at (http://www.cdc.gov/nchs/data/nhsr/nhsr071.pdf). So why did I say that the black family is in critical condition? Because we continue to oppress and neglect the importance of the progenitor: the black father. For every black woman who boasts on a day dedicated to father’s that she’s both “Mom and Dad,” further perpetuates the stereotype that black fathers (such as myself) am trying to rid. The Black Church has also played a major role in the acknowledgement of black mothers on Father’s Day as well. Understandably so seeing that the majority of its congregants are black women, however, it is still no excuse. It’s amazing that these women can come together and support their so-called “Spiritual Fathers,” but are absent when it comes to the natural ones (this is a future blog I’m working on btw). Outside of the church, themselves or when it comes to violence against their own sons; rarely do you see black women organize support groups that target the issues involving black men. The purpose of this blog is NOT to demean, degrade or disrespect black women. It is, however, a blog that will hopefully bring attention certain level of dysfunction in the black community. Think about it. You actually have scores black men who think it’s some badge of honor to grow up without knowing their own father! Again, we can all agree that there are some horrible, irresponsible brothers out here. However, there are also some vindictive, vengeful, controlling women as well who use the child as a pawn to get back at the father by keeping his kid away-and using our lovely judicial system to do it. But alas, this post might never reach the people at Hallmark or the women and men who see nothing wrong with celebrating black mothers on a day dedicated to fathers. This blog isn’t just about some Mahogany Card Collection, but an attitude that is fueled by the independent feminist mantra that has become embedded in our community by these words, “I don’t need a man.” With the element of shame and accountability thrown out the window; the black woman can make a career out of procreating with different men and our government rewards her. 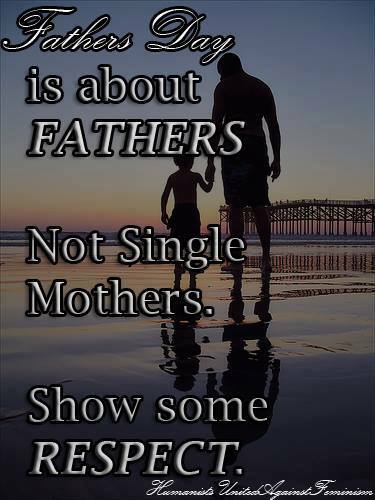 Now if a father does that, well, let’s just say the media and those same women who buy Father’s Day cards for themselves, shout themselves out of social media and the government who protects them; knows exactly what happens to “those” fathers. But seriously, until we start to have a mutual respect for one another and become a team when it comes to the parenting aspect in the black family dynamic; our legacies will continue to be in the hands of a system that never really wanted to see the African-American family reach its zenith (together) in the first place. Let’s just see if the individual’s at the Mahogany Collection in Hallmark makes a holiday card dedicated to that. Peace.